The decision was made, we were going, airfares were booked, which gave us a date to work to, and so shipping the bikes had to be sorted out. The original plan was ship to Dili, but cost came in to it, ( as it always does, we were doing this trip on a very small budget), and it was a lot cheaper to ship to Singapore. Time was moving on, and we had a deadline to get the bikes to the port, I had got 2 crates from the local Yamaha dealer for a carton, and had to modify them slightly to take our bikes. Darren and Jen, friends from Bendigo were up visiting, so Darren was called in to assist in lifting the bikes into position without the front wheels. Thanks Darren, it would have been impossible without your help. 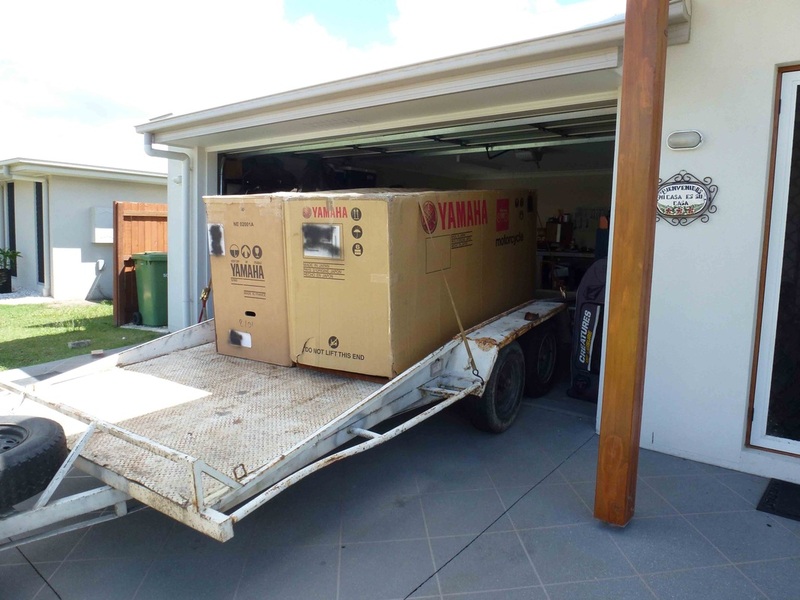 Crating done, a trailer was borrowed from Danny that was big enough for both bikes in their crates, and the delivery was done to the shipping agents at the port of Brisbane. Once unloaded, off to customs to get the carnets stamped, and that was that until it was our turn to catch the plane. We had a goodbye party / birthday party at our place before we left, the last opportunity to say goodbye to some really great friends, a good but sad night. I had retired from work, and the boss and his wife took us out for dinner just before we left, what a great night, lots of food, and probably too much wine. To Chris and Flora, thanks guys, a really enjoyable night.